As we and our loved ones age, even simple tasks such as cooking and cleaning can become difficult to complete alone. When someone is no longer able to take care of themselves due to their age, then it may be time to consider an assisted living facility in Howard County, MD. When searching for care, you have a lot of options. Kenwood Care offers a variety of services: assisted living care, palliative care, hospice care, and live-in care. But how do you know which type of care service is right for you or your loved one? There’s no correct answer to this question and personal preferences and factors matter. We wanted to take some time today to look at one option, live-in care. Live-in care means living in a non-healthcare environment, not a nursing home, but a retirement home. How will you know when live-in care is the right choice? Live-in care is best for those who don’t have serious medical issues, but still need some help with daily life. Kenwood Care’s live-in facilities in Howard County, MD are staffed by experienced GNA (Geriatric Nursing Assistant) and CNA (Certified Nursing Assistant) caregivers. Our caregivers provide a host of services, all of which make life far easier for your loved one. What Does a Live-In Caregiver Do? 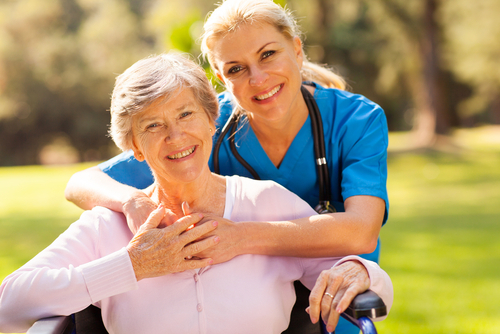 A live-in caregiver provides your loved one with any service they can’t perform themselves. This can include: cooking, cleaning, assistance in the bathroom, performing chores, running errands, and anything else they may need help with. It’s not all business though, caregivers also provide entertainment: bingo, karaoke, puzzles/board games, video games, etc. Kenwood Care provides what is known as 24/7 live-in service, meaning that a caregiver is present at our facilities at all times. Other facilities only provide partial hour care, but this can be dangerous as there is no telling when a medical emergency may arise. We have been providing live-in care services to Howard, Montgomery, and other surrounding counties in Maryland for years now, and we’ve learned a few things along the way. We have both the experience and the commitment to excellence necessary to provide your loved one with the care they deserve. If you have any questions about live-in care, or any other assisted living questions, don’t hesitate to contact us today!